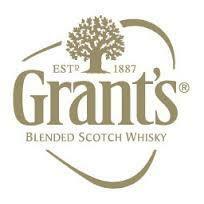 Grant's Family Reserve can be seen as a classic Speyside-style of blend – well-mannered, smooth and sweet, with pear and summer fruit notes on the nose, malt, vanilla, and floral influences on the palate, and a long, sweet finish with just a hint of peat. The key grain component is sourced from Grant's own Girvan distillery in Ayrshire, while principal malts among the 25 or so that go into the blend include the firm's own Glenfidddich, Balvenie, Kininvie and Ailsa Bay whiskies. In addition to the 'standard' Family Reserve blend, sold in some 180 countries globally, there is an Ale Cask Finish, a Sherry Cask Finish, a 25-year-old and a Signature expression.